For more than two decades now, Optus has been the primary competitor to Telstra for the title of Australia’s biggest broadband provider. Whilst competition has stiffened in recent years, Optus still remains a big player in the Australian telecommunications market, as the only company other than Telstra to own its very own internet infrastructure. While Optus still uses the Telstra infrastructure in some locations, Optus is generally considered the cheaper of the two big providers. Optus offers a full range of internet plans, including ADSL and Cable, mobile broadband and NBN connections. It also has home broadband using the Telstra resale network named ‘Reach’ plans. Canstar Blue has compiled Optus’ current broadband plans all in one place, so you can choose the best plan to suit your needs. All of Optus’ non-mobile broadband plans come with unlimited data. The bread and butter of the Optus product range is its fixed line broadband plans. Optus offers a range of different bundled internet plans, meaning pretty much all come with a home phone line and have varying levels of call inclusions. Just about everyone has access to ADSL, but you’ll need to check if your home is eligible for either NBN or cable internet. For NBN, plans come with the NBN 50 (Standard Plus) speed tier, with the option to upgrade to NBN 100 (Premium) for an extra $30 each month. Like with its mobile phone plans, Optus packs its internet bundles with several entertainment features, notably Fetch TV and Optus Sport. The set-top box service Fetch TV includes live TV recording and rewinding, as well as an on-demand movie store and easy access to all your favourite entertainment apps such as Netflix and Stan (subscription required). Fetch TV also gives you access to entertainment packs, in which you’ll get access to premium channels like ESPN, MTV, E!, and National Geographic. There are four entertainment packs costing $6 a month each, or you can bundle all four of them for $14 a month. Optus Sport gives you live and exclusive access to Premier League, Champions League football, and related shows on-demand, as well as Australian Cricket matches over the summer. 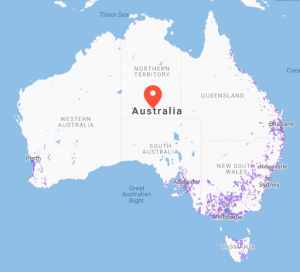 Like almost any other provider, Optus’ NBN coverage is reliant on the wider rollout taking place, courtesy of NBN Co – the company that wholesales the NBN to providers. When completed, fibre networks will extend to 93% of the population, while the remaining 7% will be covered by either a fixed wireless or satellite connection. Optus NBN extends to most capital cities now, with major regional hubs also covered. Optus NBN is available across FTTN, FTTB and FTTC fixed line connections, as well as fixed wireless. Top speeds will be confirmed once connected. Entertainment: Get Optus Sport and Fetch TV on ‘Entertainment’ plans. Optus Sport is the only legal way to watch all Premier League matches live, and is ordinarily worth an extra $15 a month. Modems: Get a premium AC modem on Entertainment plans, capable of gigabit speeds. Call Packs: All plans come with pay-as-you-go calls, while call bolt-ons are available from an extra $5 a month. Optus is more than just your broadband provider; it provides entertainment for the whole family, and providing football (soccer) fans with their fix. Optus offers unlimited data on the Standard Plus (NBN 50) speed tier from $70 per month for just broadband and PAYG calls, and $90 for broadband, entertainment and included calls. Two-year contracts feature a $99 setup fee, while month-to-month plans incur a $200 upfront charge. For premium (NBN 100) with Optus you can expect to pay from $100 per month. Entertainment plans, which feature Fetch TV and Optus Sport, cost $120 per month, but also include unlimited national and mobile calls. Don’t forget that 24-month plans feature a $99 setup fee, and month-to-month plans $200. Optus provides a choice of two home wireless plans, both on two-year contracts or month-to-month. $60 buys you 200GB of data, while the $80 plan features 500GB each month. Two-year plans come with a free 4G modem, but if you decide to go contract-free, you’ll need to pay $192 upfront. As you’d probably expect from a large telco, Optus has a comprehensive range of customer service and support options available. There is an online forum where all your pressing issues have probably been answered before, as well as an FAQ. There is also live chat and a call centre. Generally, Optus and other telcos are moving away from having call centres as the go-to source of troubleshooting, instead encouraging consumers to use online chat, FAQs, forums and more to solve their issues. Optus also has an online portal and app where customers can access all their information, billing details and more. How does Optus compare to other internet providers? Overall, with these big telcos you’ll have to keep an eye out for contract length, setup fees, modem costs and other other fees that can make the first month of a plan quite expensive. Should I buy an Optus internet plan? Optus’ rejigging and streamlining some of its broadband plans recently makes it hard to say no to one of Australia’s biggest telcos. Optus offers many attractive options across all internet connection types, and with unlimited data starting at just $70 a month – even on NBN – it’s pretty hard to look past it. While some providers do offer cheaper prices, Optus’ inclusion of Yes TV by Fetch and Optus Sport on plans over $90 make it pretty much a ‘go-to’ when it comes to internet and entertainment. Optus has transformed to offer some very exciting plans, and solidifies its position as one of the blue-chip ISPs of the Australian market. What do customers think about Optus NBN plans? In 2018, Australian customers gave Optus 3 out of 5 stars for Overall Customer Satisfaction for NBN plans.